It seems the friendship will have to continue off screen. There will be no season three of the Best Friends Whenever TV show, because it has been cancelled by Disney Channel. Landry Bender posted about the cancellation on her Tumblr blog and made sure to thank creators Jed Elinoff and Scott Thomas. Check it out, below. A live-action comedy, Best Friends Whenever followed best friends Cyd Ripley (Bender) and Shelby Marcus (Lauren Taylor), who have the power to leap forward and backward in time whenever they want – and sometimes when they don’t. The Disney Channel cast also included Gus Kamp, Ricky Garcia, and identical twins Benjamin Cole and Matthew Lewis Royer. The cancellation means the two-part season two finale episode, “Revenge of the Past,” which aired on December 11th, will serve as the unintentional TV series finale. Because social media posts sometimes go missing, here’s the text of Bender’s farewell message. I started writing this on December 16th but I wasn’t yet ready to share. I enjoy writing amateur scripts more than lengthy Tumblr posts but hopefully this’ll do. As some of you may have heard, Best Friends Whenever won’t be going any further. Even though we’ve known this for a couple of months now, it doesn’t make it hurt any less. First off, HUGE thank you to Jed and Scott (our leaders/work dads) for a multitude of things. I’ve grown so much as an actor and even more as a person through them hiring my barely 14 year old self and trusting me to be a part of an ensemble with some of the most comically talented teenagers I know. They made it a routine to have “writer’s lunch” every Friday where we got to eat upstairs in the production office and get giddy about future storylines, something I’ve been told “kids” shows don’t do. And there were of course SO many other people behind and in front of that show who I adore, who without I wouldn’t be the person I am today, and who I’m sure will attend my wedding someday. This show was my high school, the best one a girl could dream of. And even though we’ll all move on to different projects, being able to say I grew up with people is something I’ll forever cherish. I of course can’t give enough thank you’s to you guys for the constant love – truly. We grew a following from nothing which is very rare for a show with quirky teenagers and special effects to do. Thank you, thank you, thank you, thank you, thank you. What do you think? Are you sad Best Friends Whenever was cancelled? Do you think Disney Channel should have renewed this TV show for season three, instead? Let us know, below. 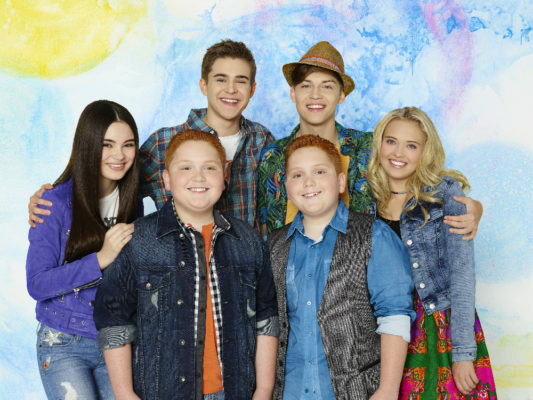 More about: Best Friends Whenever, Best Friends Whenever: canceled or renewed?, Disney Channel TV shows: canceled or renewed? I know! This was such a great show and it ended waaaay too soon! I want to see where the relationships go and new adventures! Bring it back! The first two seasons were absolutely amazing!! I so wish there was going to be a third season! It was getting really good. Anyways, thank you for the first two seasons.